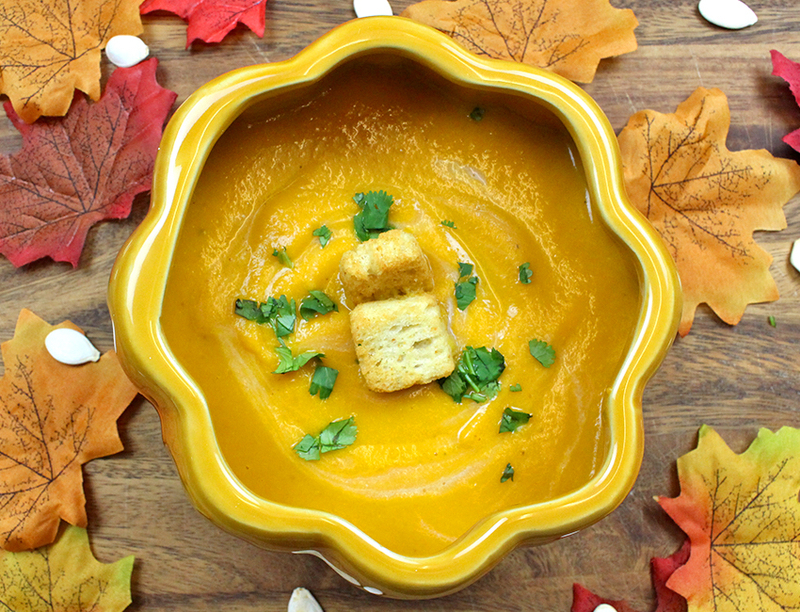 Place onion, carrots, vegetable broth, rice vinegar, pumpkin puree and garlic in Instant Pot®. Stir to combine. Seal lid and cook on Manual setting for 8 minutes. Quick release when done. Then pour the soup into a blender and add the coconut milk. Puree until smooth and creamy (if needed, puree in two batches adding half the coconut milk in one batch and the other half in the other). Then, add salt and pepper to taste. Garnish with cilantro and croutons, enjoy!